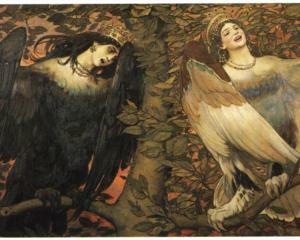 A bird of paradise with the body of a bird and the face of a woman, a derivative of Alcyone. 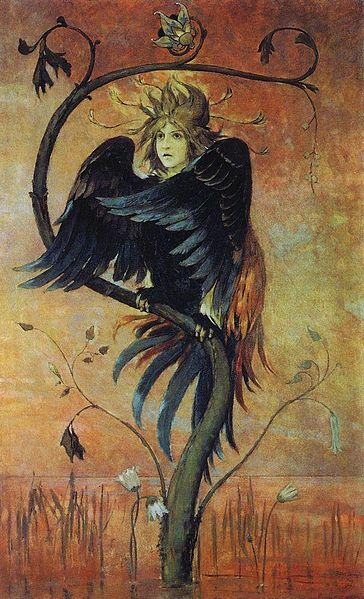 (The Alkonost is, according to Russian mythos and folklore, a creature with the body of a bird but the head of a beautiful woman. It makes sounds that are amazingly beautiful, and those who hear these sounds forget everything they know and want nothing more ever again). Sirin A mythological creature with the head and chest of a beautiful woman and the body of a bird (usually an owl). A prophetic bird that lives on an island in the east, close to paradise. Zhar-Ptitsa A magical glowing firebird from a faraway land. 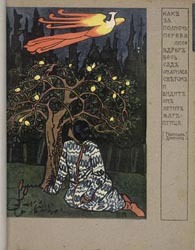 Zhar-ptitsa’ by Polenova, Elena Dmitrievna, (1850-1898) The British Library's Russian Visual Arts, 1814 - 1909 collection. 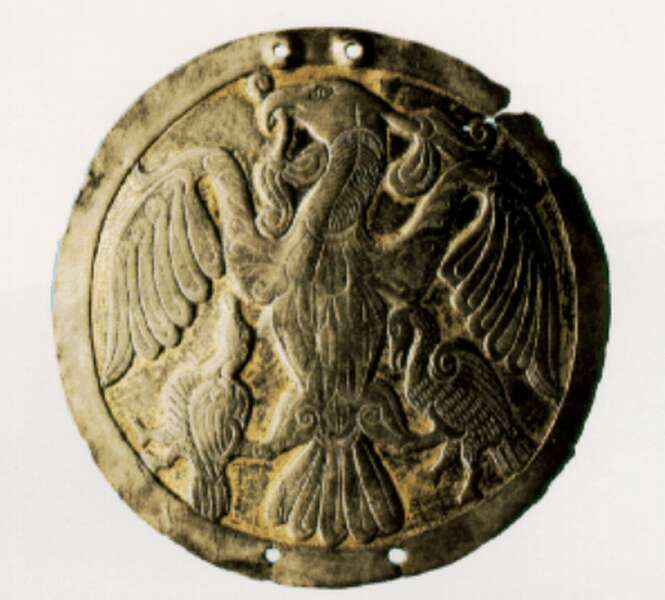 MAGYAR (Hungarian) MYTHOLOGY Turul A large falcon that helped shape the origins of the Magyars.